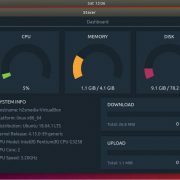 The MySQL Workbench on Fedora or REHL allows the database managers, developers or DB architects to visually design the Database. It features Database Connection & Instance Management, SQL Editor, Visual EXPLAIN, SQL snippets collections, SSH connection tunneling, Unicode support, Data modeling, ER diagramming, Drag n Drop visual modeling, Database administration, Database account management, Performance monitoring, Performance Schema metrics, MySQL instance dashboard, Database migration, and more. 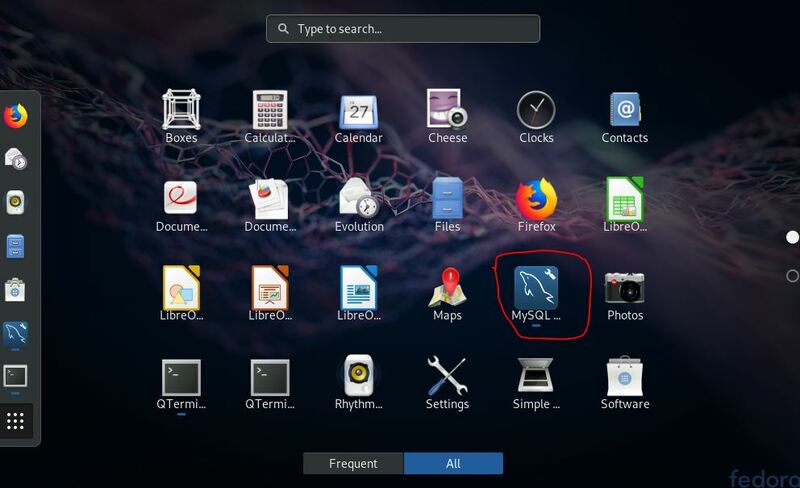 We already have created a tutorial on how to install the MySQL workbench on Ubuntu and now here we are going to show the installation of MySQL workbench on Fedora and REHL. 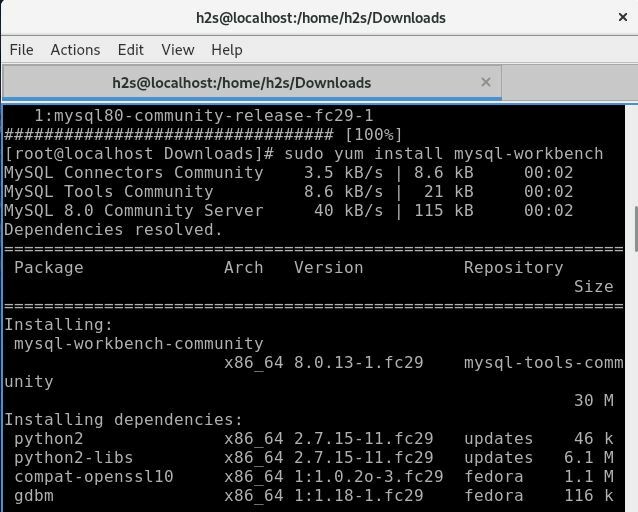 You can use this guide to install MySQL workbench on Fedora 29, 28, 27 and Redhat Linux 7 & 6. 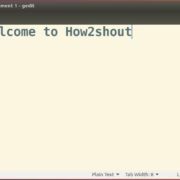 Open the command terminal on Fedora and log in as root. You can use the following command to emulate the standard user to root. Now to install the MySQL workbench, first of all, we need to add the MySQL Yum repository to our Fedora. 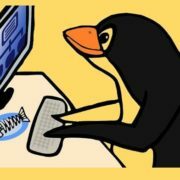 For that go https://dev.mysql.com/downloads/repo/yum/ and download the MySQL community RPM package. 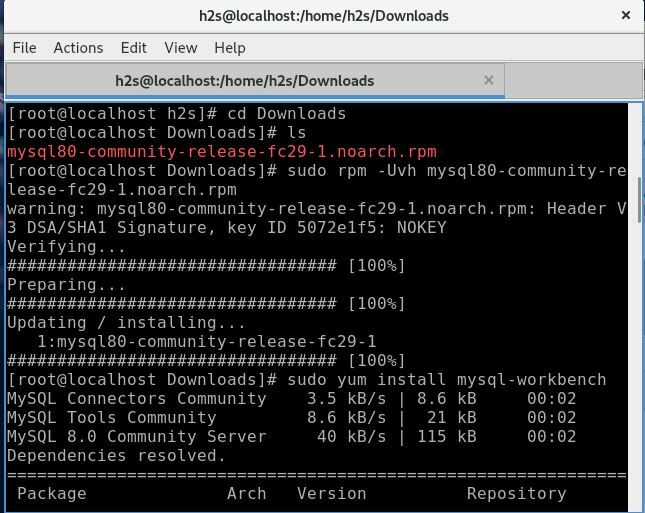 For example, we are using Fedora 29, so we downloaded the mysql80-community-release-fc29-1.noarch.rpm. 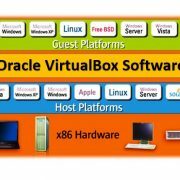 In this same way if you are using Red Hat (REHL) then download Red Hat MySQL workbench RPM package. To install the downloaded workbench package, first of all, switch to the directory where it has downloaded. In our case, it was in Downloads and probably in your too (if you are downloading it using the browser on the same OS where you are about to install it). The downloaded RPM package would show here. Once the installation of the RPM package done. It’s time to use the single command to install the MySQL Workbench. 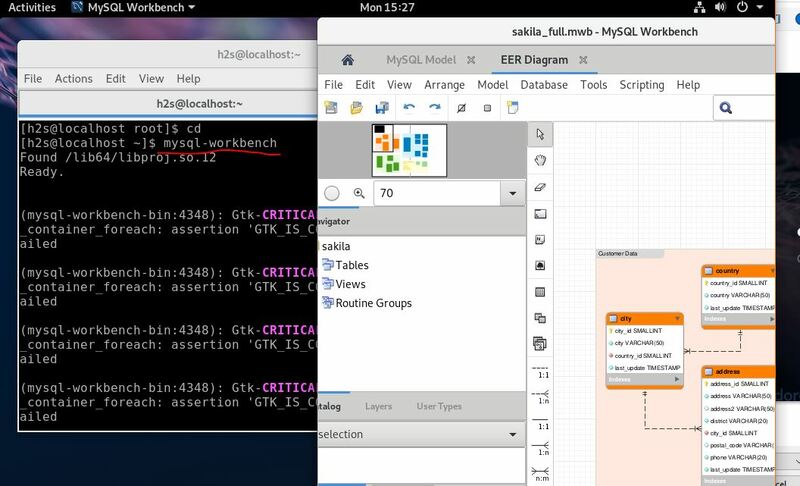 You can also access the Workbench directly from the Applications graphically using the shortcut icon.